Kai Garden Residences is DMCI Homes’ new project in Mandaluyong City launched 2017. The project will have 3 high-rise buildings with turnover 2023, 2024. Drive straight and turn right at Madison street right after Robinson’s Pioneer. Go straight and take the tunnel going to Boni Avenue. Emerging from the tunnel, go straight and turn right at M. Vicente street, formerly Dansalan. A few blocks is the main gate of Kai Garden Residences on the left side. Drive straight from Ortigas and turn right at Boni Avenue near Boni MRT station. Go straight and turn right at Vicente street, formerly Dansalan. A few blocks is the main gate of Kai Garden Residences on the left side. Kai Garden Residences will be in close proximity to Mandaluyong Business District which hosts several commercial and business establishments. The project is also walking distance to MRT Boni Station for commuters. 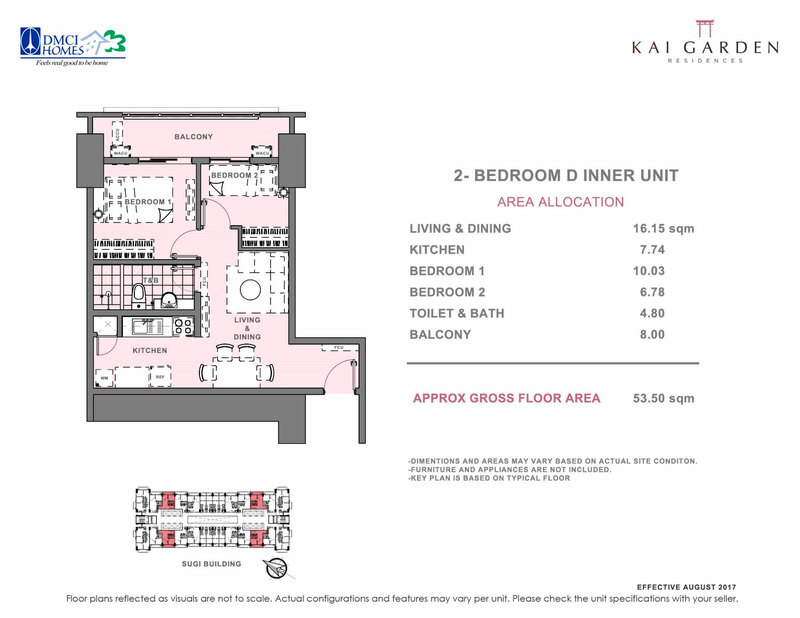 Below are the floor plans for Kai Garden Residences SUGI building. The building will feature double loaded corridor design with Garden Atriums and Sky Patios every 5 levels. 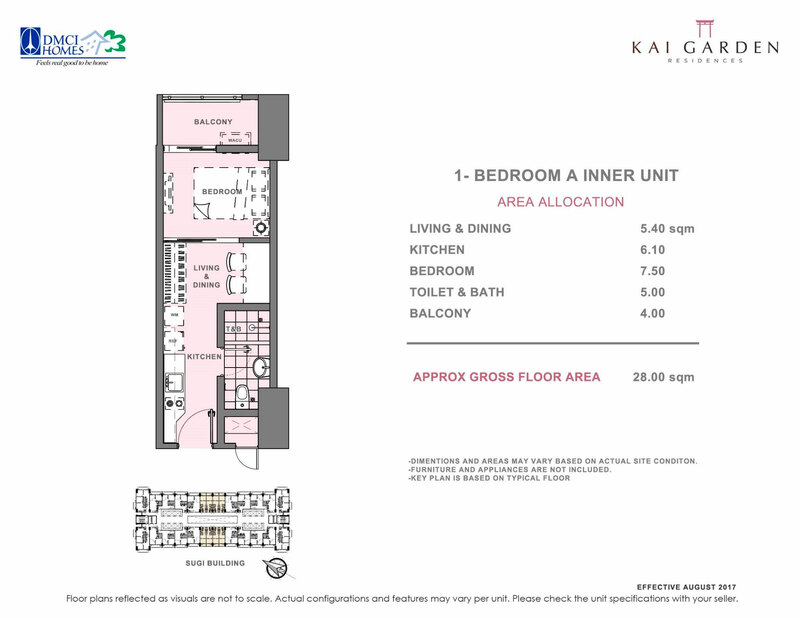 Kai Garden Residences will feature 1 Bedroom units, 2 Bedroom units, 3 bedroom units and you can combine units to for the larger Tandem Unit. Below are the layouts for the unit types mentioned. You should also find sample computations of each unit type. 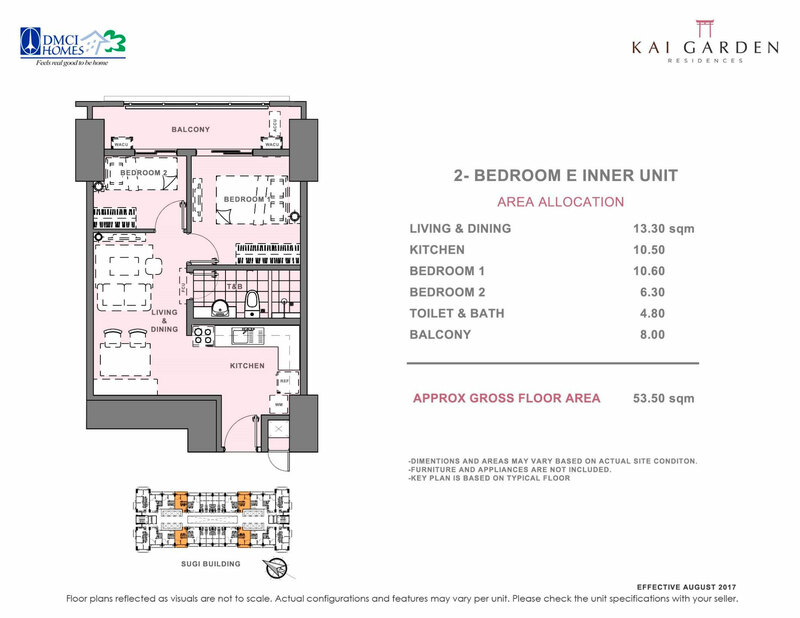 Take note that there are units wherein prices vary depending on floor and view. For actual computations of specific units, kindly send us a message. 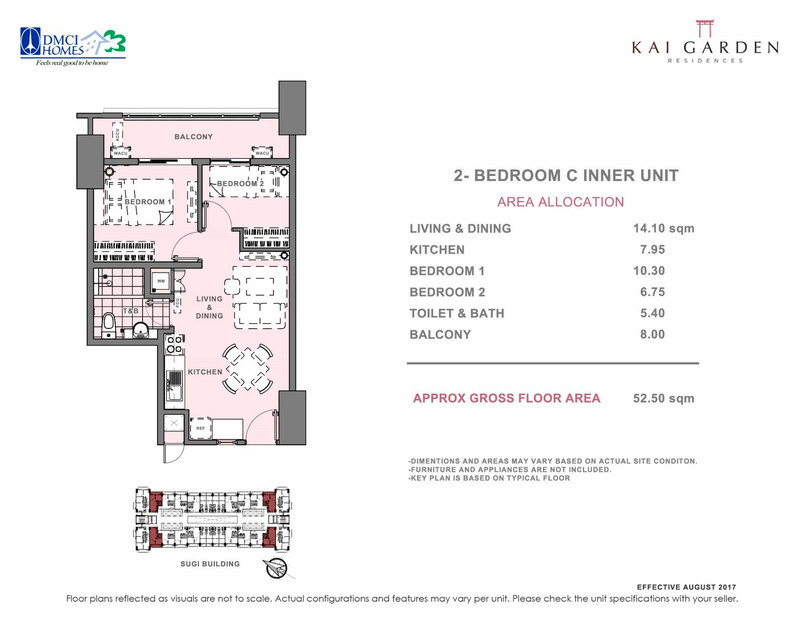 Check out the amenities and facilities for Kai Garden Residences below. The project will feature the Swimming Pools, Basketball Court, Lawn/Recreation Area, Playground, Convenience Store, Entertainment Room, Function Room and Fitness Gym. *Property developers typically provide a one-year warranty. DMCI Homes’ 2-year limited warranty covers most unit deliverables,except operable items subject to daily wear and tear. Terms and conditions apply. After submission of requirements, your contracts for your Kai Garden Residences Unit and/or Parking Slot shall then be drafted which usually takes a week to be released.